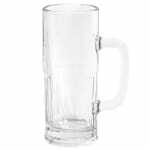 The Libbey 5360 beer mug is a great addition for serving beer in any restaurant or bar. The 22-ounce capacity allows you to offer a larger size option, with thick glass that is ideal for frosting to keep beer cool to the last drop. The top of the glass is rounded for comfortable drinking, and the bottom features small vertical panels. This design also features a sturdy handle to prevent warm hands from taking the chill off of the beer you serve prematurely. 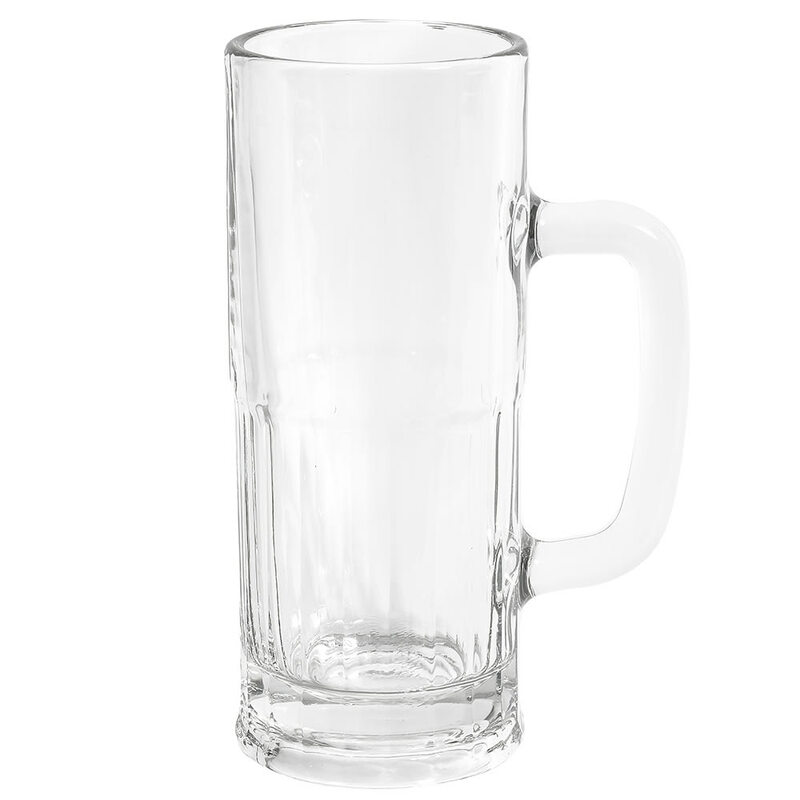 This beer mug is dishwasher-safe, allowing your restaurant or bar to run them through a commercial dishwasher to help keep up with demand. The heavy glass and wide base ensures this mug is stable and secure, whether full or empty. This Libbey glass is made in America. Overall Dimensions: 8 in. H x 51⁄8 in. W (with handle) x 31⁄8 in. top dia. x 31⁄4 bottom dia. "We put these mugs in the freezer and they get a nice coat of ice on them and the beer is sooooo cold and its just great. These are sturdy mugs an..."
"We put these mugs in the freezer and they get a nice coat of ice on them and the beer is sooooo cold and its just great. These are sturdy mugs and have used them for three+ years. The second time I have ordered them and will order more in the future. I have nothing negative to say about them."